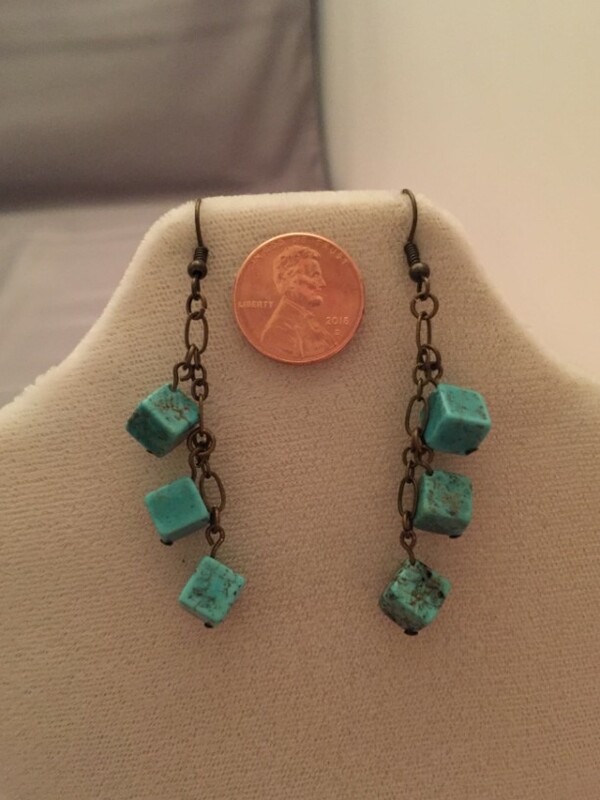 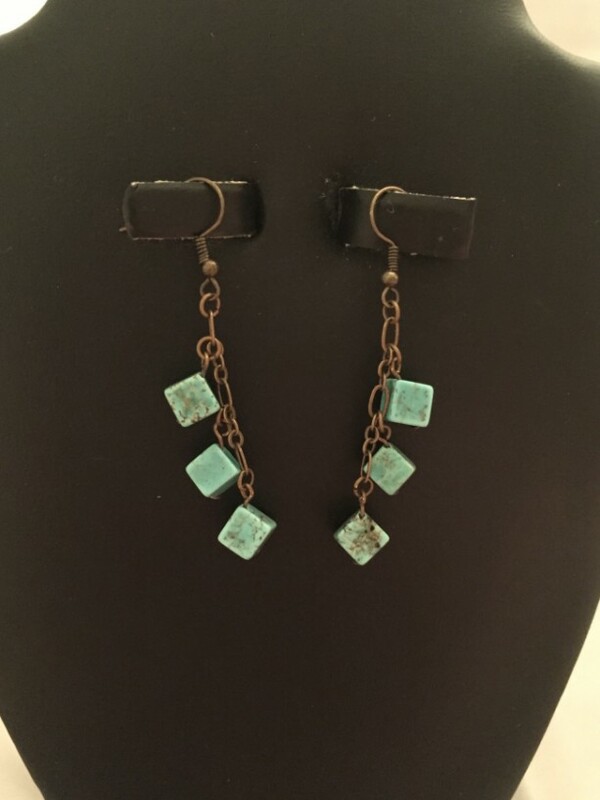 These earrings are made with antique brass findings and these beautiful turquoise colored magnesite cubes. 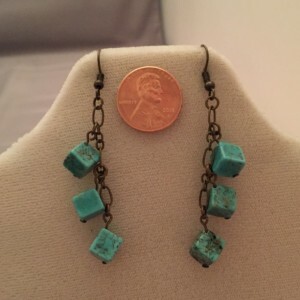 I used a chain so that I could create a dangle effect that would space out the cubes so you could appreciate the unique patterns on each one. 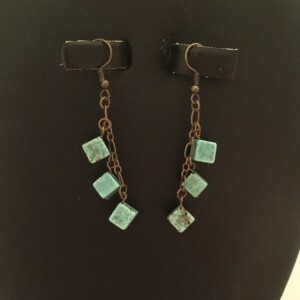 I may or may not have created a duplicate for myself!